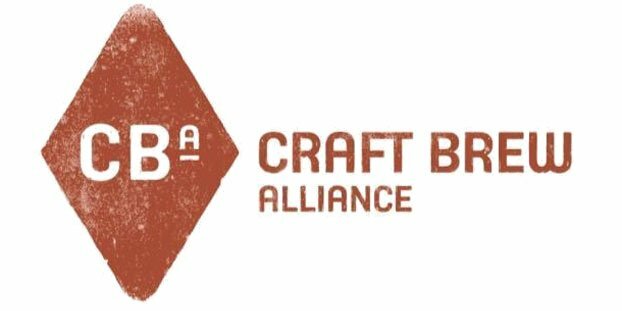 Craft Brew Alliance, a craft brewery rollup consisting of Widmer Brothers, Redhook, Kona and Omission, has been questioned in recent quarters by industry onlookers, partially because of its earnings results, but partially because of the rest of the craft beer industry. What would the future hold for the CBA in this new world where larger independent craft brewers received big investments to expand and where Big Beer is buying up regional breweries to grow their portfolios. Was it time for CBA to be acquired? Where was it going? Well, amid all of this chin scratching, the CBA has started to build its future, centered around Kona — what’s been dubbed the Kona Plus strategy. The results in Q2 2016 are promising, as the CBA showed the largest net sales, shipments and depletions in the company’s history. The company expects to end the year with capital expenditures between $19 million and $23 million to support strategic investments, which include the Portland brewery expansion and efficiency initiatives, the Kona brewery expansion, the Portsmouth brewery canning line and the new Redhook brewpub in Seattle. The increase in 2016 expenditures compared to last year’s guidance reflects the effect of lower-than-anticipated spend on active projects in 2015. Net sales for the second quarter were $62.3 million, an increase of $3.7 million or 6.4 percent compared to the second quarter of 2015, primarily driven by a 3.9 percent increase in revenue per barrel and a 3 percent increase in overall shipments. The company also attributes the increase in net sales to fees earned from its alternating proprietorship with Appalachian Mountain Brewery, which began in the first quarter of 2016. Shipments of owned and partnership beers increased by 10,700 barrels, or 4.7 percent, to 239,000 barrels, over the second quarter of 2015. Depletions for Kona continued to outpace the growth of craft, increasing by 18 percent for the quarter and driving CBA’s overall depletion volume up by 3 percent for the quarter, compared to the same period in 2015. Second quarter gross margin rate increased 100 basis points to 32.9 percent, compared to 31.9 percent for the second quarter last year, which led to a $1.8 million, or 9.7 percent, increase in gross profit. Beer gross margin rate increased 70 basis points to 35.3 percent in the second quarter, compared to 34.6 percent in the second quarter last year, which is mainly due to an increase in pricing and lower component costs. “Looking at the balance of the year, we expect to see incremental gross margin improvement as we optimize key cost reduction projects completed in the first two quarters, including the Portland bottling line modernization and beer loss centrifuge and the Portsmouth canning line,” the company noted in its report. Net income for the quarter was $2.3 million, an increase of $871,000 or 63 percent compared to the second quarter of 2015. Net sales increased by 1.3 percent, primarily attributed to improved pricing, alternating proprietorship fees and increased guest counts at our brewpubs; partially offset by a decrease in overall shipment volumes. Shipments of owned and partnership beers decreased by 5,400 barrels, or 1.4 percent, over the comparable period in 2015, due to the planned shutdown of its largest-volume brewery (Portland) in the first quarter of 2016 and continued competitive challenges faced by Redhook, Widmer Brothers and Omission. The second quarter decrease in shipments was offset by Kona, which increased shipments by 19.3 percent, as well as growth of Appalachian Mountain Brewery and Cisco. Depletions for Kona increased by 19 percent, while overall depletions were flat compared to the same time period in 2015.